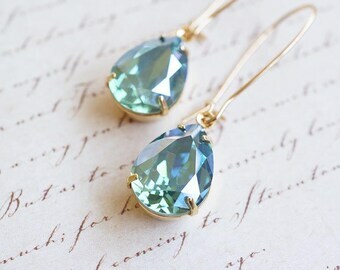 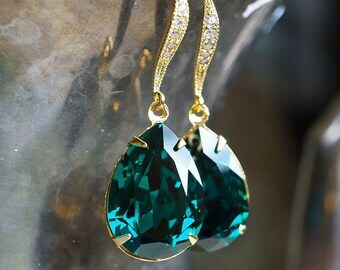 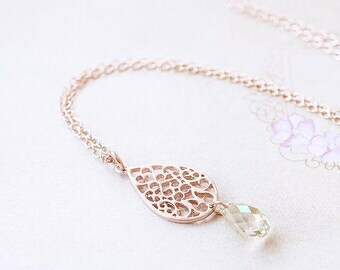 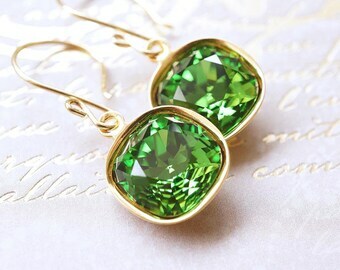 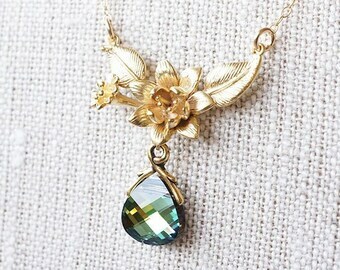 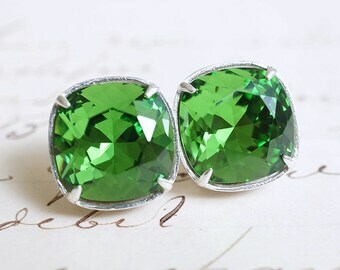 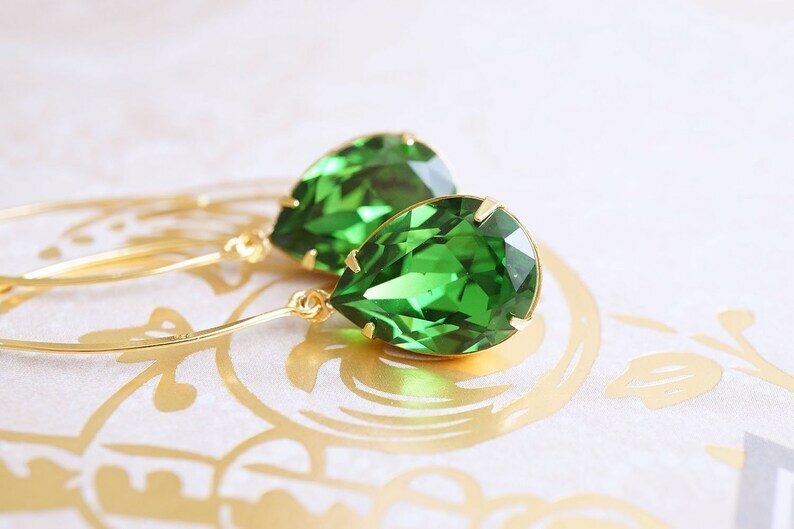 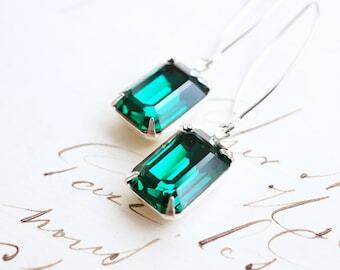 ♦︎ Stunning shades of green shimmer in these Fern Green Swarovski Crystal Pear Stones. 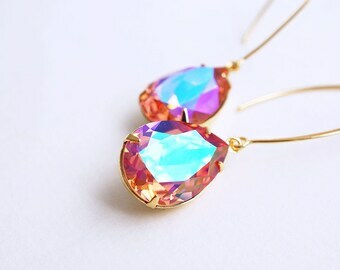 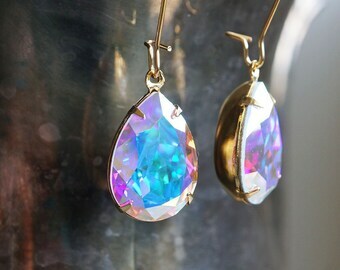 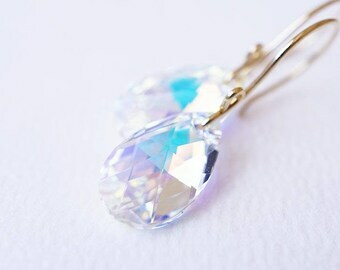 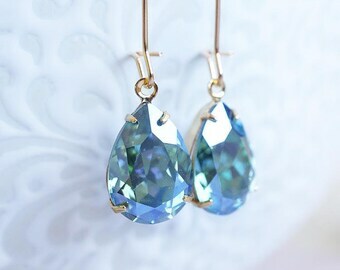 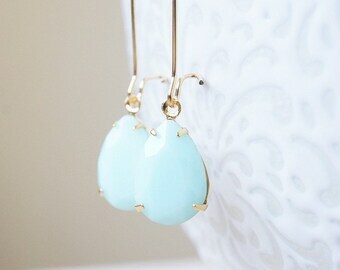 They are hung on long gold plated sterling silver earrings. 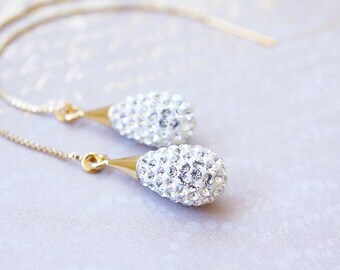 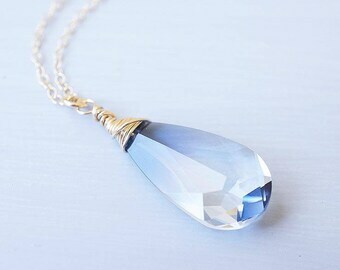 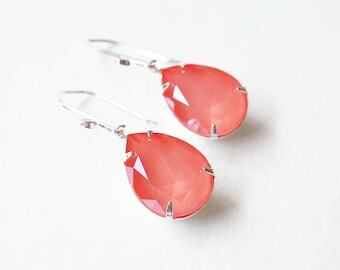 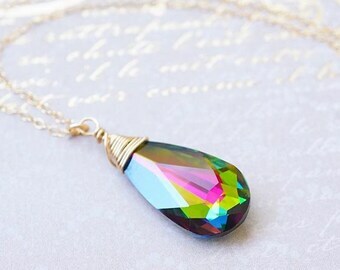 Classy, elegant, and a perfect addition to your outfit for a night out.